Identification. Druk-yul means "Land of the Thunder Dragon." Most Bhutanese refer to their homeland as Druk-yul, the original and still official name. Bhutan, the name given to the country by the British, is the name used for most official and international business and reference. The name Bhutan may be derived from the ancient Indian term "Bhotania," which means "end of the land of the Bhots" (Tibet). Because a number of stone tools and megaliths (large stones used in prehistoric monuments) have been found in Bhutan, it is believed that Bhutan was populated as early as 2000–1500 B.C.E. The society of Bhutan today is made up of several ethnic groups. The Sharchops, who are believed to be ancestors of those earliest residents, live mostly in eastern Bhutan. Their early ancestor tribes may have originated from Burma (Myanmar) and northeast India. It is also believed that Indo-Mongoloids (usually referred to as Monpas, which means non-Tibetans) migrated into Bhutan two thousand years ago from Arunchal Pradesh, Nagaland, northern Burma, and Thailand. The Ngalops live in western Bhutan and migrated from the Tibetan plains; they are credited with being the first to bring Buddhism to the country. The other main ethnic group is the Lhotshampas, who were from Nepal originally. The Lhotshampas migrated to Bhutan toward the end of the nineteenth century. Location and Geography. Bhutan is located in the northern area of South Asia and is also in the eastern Himalayan mountain area. It is 18,000 square miles (46,620 square kilometers) in size and is bordered in the north by the People's Republic of China and to the south, east, and west by India. Geographically, Bhutan is divided into three zones: the southern zone, which has low foothills that are covered with dense tropical forests; the central zone, which primarily consists of fertile valleys at altitudes that range from 3,500 to 10,000 feet (1,060 to 3,050 meters); and the northern zone, which has valleys at heights that range from 11,000 to 28,000 feet (3,350 to 8,535 meters). It is this northern section that forms part of the Himalayas with its high peaks along the Tibetan borders. The largest percentage of the population lives in the central zone. The federal capital of Thimphu is located along the river of the same name in this section of the country. Demography. According to the most recent government census, Bhutan's population consists of approximately 600,000 people. However, Bhutanese dissident groups have argued that the population is, in fact, much bigger than government estimates. These groups contend that the Bhutanese government dramatically undercounted the number of ethnic Nepalese in the country as part of a campaign to limit the influence of this fast-growing minority population. Ethnic conflicts between the Buddhist majority and the largely Hindu Nepalese in the late 1980s and early 1990s forced tens of thousands Nepalese into refugee camps in Nepal and India. The Bhutanese government does not recognize the citizenship of the majority of these refugees, estimated at 112,000. Linguistic Affiliation. Bhutan's national language is Dzongkha. Most of the schools conduct classes in English, although more textbooks are being written in Dzongkha. Different dialects are spoken by residents of the east and west, which sometimes makes it difficult for them to understand each other. A large proportion of the population—especially urban residents—speak English. Kuensel , the national newspaper, is published in Dzongkha, English, and Nepali, both in print and on the Internet. Symbolism. The national emblem is a circle with two double diamond thunderbolts placed above a lotus, topped by a jewel, and framed by two dragons. The thunderbolts represent harmony between secular and religious power. The lotus represents purity, the jewel represents sovereign power, and the two dragons represent Druk-Yul ("Land of the Thunder Dragon") the original name of Bhutan. The national flag is divided diagonally by two blocks of different colors with a white dragon across the middle. The top part of the flag is golden yellow, which represents the secular power of the king, and the lower part is orange, which symbolizes the Buddhist religion. The dragon, who represents Bhutan, holds jewels in its claws, which stand for the wealth and perfection of the country. The national flower is the blue poppy, which grows at the high altitudes. The national tree is the cypress. The Bhutanese people associate with it because it is straight and strong and can grow even in inhospitable soil. The national bird is the raven, which also adorns the royal hat. The national animal is an extremely rare mammal called the takin. It lives in flocks in areas 13,000 feet (4,000 meters) high and eats bamboo. Emergence of the Nation. Nearly all the historic records of early Bhutan were destroyed by fire, flood, earthquake, and war. In the sixteenth century, the region came under Tibetan rule. Zhabdrung Ngawang Namgyal (1594–1651), who was referred to as "Zhabdrung Rinpoche" (which translates to "the precious jewel at whose feet one submits"), set up a dual system of administration headed by a spiritual leader and a civil government leader. This system endured until 1907 when a hereditary monarchy was established. In the nineteenth century, the British sought to incorporate Tibet within their influence, which posed a threat to Bhutan, but this problem was successfully eliminated by Penlop Ugyen Wangchuck, who played the role of mediator between British India and Tibet. Wangchuck became the first hereditary monarch of Bhutan in 1907. In 1949 Bhutan officially became an independent nation. National Identity. Bhutan's national identity is intimately bound up with its religious identity as a Buddhist nation. Buddhism influences both the daily lives of its people as well as the government, in which Buddhist religious leaders have considerable power. Ethnic Relations. Bhutan has a wide diversity of ethnic groups, starting with a number of small tribal groups (related to similar tribes in India and Sikkim) whose ancestry goes back almost three thousand years. More recent centuries have seen large migrant groups from Tibet, Nepal and Mongolia. The rapid growth of the largely Hindu Nepalese population in Bhutan towards the end of the twentieth century resulted in significant ethnic conflicts with the Buddhist majority. The government responded by tightening immigration and citizenship laws to reduce the flow of Nepalese into Bhutan. When many Nepalese responded to this action with protests and demonstrations, ethnic violence and repression broke out against them in Bhutan's southern districts in the late 1980s and early 1990s. As a result, tens of thousands of Nepalese fled the country in 1991 and 1992. There are an estimated 112,000 Nepalese refugees currently residing in refugee camps in Nepal and India. A large percentage of Bhutanese are rural residents who live in houses built to withstand the long, cold winters, with wood-burning stoves for both heat and cooking. Nearly all these rural houses are surrounded by some land that is used for growing vegetables. There are also a number of cities, including the capital of Thimphu, which is home to the royal family and government buildings. Other cities include Wangdue Phondrang and Tongsa. Bumthang is the spiritual region and has a number of monasteries and places of religious pilgrimage, as well as numerous religious legends associated with it. The use of the space involves preserving both the environment and the quality of life of Bhutan residents and at the same time using space to preserve wildlife. As part of Bhutan's Buddhist heritage, this includes preserving the numerous Dzongs (monastery fortresses) that are located throughout the entire country. Food in Daily Life. Because of the ethnic diversity of the people, there is a certain ethnic diversity in the food. Northern Indian cuisine is often mixed with the chilies of the Tibetan area in daily dishes. Mushrooms, apricots, asparagus, a variety of chilies and numerous spices are grown in abundance in nearly all the valleys. Spices, fruits, and vegetables are cooked with beef, chicken, pork, and dried yak, and resemble Chinese and Indian cuisine. The typical meal also features rice, dried beef or pork, and chilies sometimes cooked with soft, white cheese. The most popular beverage is tea, which is served in a variety of ways. Basic Economy. The economy is based on agriculture and forestry and provides the livelihoods for 90 percent of the population. Agriculture is primarily subsistence farming and animal husbandry. The economy of Bhutan is aligned with that of India through strong trade and monetary links. Commercial Activities. Cottage industries, which include weaving, account for the majority of production. Major Industries. Manufactured goods include cement, wood products, processed fruits, alcoholic beverages, and calcium carbite. Electricity is another important industry. Trade. The 1998 estimate of exports was $111 million. Electricity is a major export item and is exported to India. Other exports include spices, gypsum, cement, and precious stones. Chief imports are fuels, fabrics, and rice, and amounted to $136 million (estimate) in 1998. Major import partners are India, Japan, and the United Kingdom. Division of Labor. The majority of Bhutanese are not skilled labor workers: 93 percent are in agriculture, 5 percent in services, and 2 percent in industry and commerce. Classes and Castes. While Bhutan has no caste system, a pattern of discrimination against the minority Hindus of Nepalese origin exists. Thousands of Nepalese were deported from Bhutan in the late 1980s, and many others fled to refugee camps in Nepal. The government launched an effort to promote the cultural assimilation of the remaining Nepalese. Nepali was no longer taught in schools, and national dress was required for official occasions. Government. Bhutan is a constitutional monarchy, ruled by a hereditary king, the "Druk Gyalpo," who governs with the aid of a Royal Cabinet and a National Assembly (the Tsongdu). In the past, the king appointed members to a Royal Advisory Council and to a Council of Ministers. Following the political reforms of 1998, however, these two councils were combined to form the cabinet. This body consists of six ministers elected by the National Assembly, six advisors also elected by the National Assembly, a member nominated by the king, and two representatives of the clergy. A Bhutanese woman weaving alongside a street. The majority of commercial production activity involves cottage industries. addressing the king on matters of national importance. It also enacts laws and approves senior government appointments. A simple majority is needed to pass a measure and is conducted by secret ballot. While the king may not veto legislation, he may return bills for further consideration; the king generally has enough influence to persuade the assembly to approve legislation he considers important or to withdraw proposals which he opposes. Previously an autocracy, Bhutan moved closer to becoming a true constitutional monarchy when King Jigme Singye Wangchuk announced ambitious political changes in 1998. He relinquished his role as head of government and assigned full executive powers to a cabinet consisting of ministers and advisors to be elected by the National Assembly (in reality, the National Assembly chooses from a list of nominees proposed by the king, who also retains authority relating to security issues). The Council of Ministers, a subgroup of the cabinet, elects one of its members on a rotational basis to serve a one-year term as chairman. It is this official who is the head of government. As part of his reforms, King Jigme Singye Wangchuk also introduced legislation by which any monarch would have to abdicate in favor of his hereditary successor if the National Assembly supported a vote of no-confidence against him by a two-thirds majority. The government discourages political parties and none operate legally. Social Problems and Control. The legal system is based on English common law and Indian law. Local headmen and magistrates (Thrimpon) hear cases in the first instance. Appeals may be made to an eight-member High Court, established in 1968. From the High Court, a final appeal may be made to the king. Criminal matters and most civil matters are resolved by application of the 17th century legal code as revised in 1965. Questions of family law are governed by traditional Buddhist or Hindu law. Minor offenses are adjudicated by village headmen. Criminal defendants have no right to court appointment of an attorney and no right to a jury trial. Under the 1979 Police Act, police need a warrant to arrest a person and must bring the detainees before a court within twenty-four hours of arrest. In the past, Bhutan was virtually crime-free. However, with modernization and development, crimes such as burglary, theft and robbing of the "chortens" (religious stupas) are becoming common. Military Activity. The army consists of five thousand soldiers. The army headquarters are located in the capital city of Thimbhu. The regular activities of the soldiers include service with the palace guards, the royal police force, and the militia. A government official walking out of an administrative building in Tongsa. Bhutan is a constitutional monarchy. Nongovernmental associations include the National Women's Association of Bhutan and the Bhutan Youth Development Association. The Relative Status of Women and Men. Bhutan's culture does not isolate or disenfranchise women. Dowry is not practiced, and land is divided equally between sons and daughters. Girls receive nearly equal educational opportunities, and, while accorded a lower status than boys, they are cherished because they are the ones who care for parents in old age. Division of Labor by Gender. Men and women usually work side by side in the field. Women fill most of the nursing and teaching positions. Marriage. Marriages may be arranged by the parents or by the individuals entering the marriage. To get married, a certificate is required from the Court of Law, but most marriages are performed by a religious leader. The Bhutanese are essentially monogamous. Polyandry (multiple husbands) has recently been abolished; the practice of polygamy is legal provided the first wife grants her consent. A bride does not necessarily move into her husband's household, as is common throughout much of the Indian subcontinent. The new husband may reside with his wife's family if their need for labor warrants it. Alternatively, the new couple may set up their own household on their own plot of land. Divorce is permitted in Bhutanese society, although compensation is required from the party seeking the separation. Child Rearing and Education. A modern educational system was introduced in Bhutan in the 1960s. Prior to that, education was provided only by monasteries. A growing number of children are attending school, but over 50 percent still do not attend. Education is not compulsory. The educational system consists of seven years of primary schooling followed by four years of secondary school. In 1994, primary schools enrolled 60,089 pupils. In the same year, secondary schools enrolled 7,299 students. Higher Education. Bhutan has one college, which is affiliated with the University of Delhi. The Ministry of Education consists of the Department of Education, the Department of Adult and Higher Education, and the Department of Youth Culture and Sports. Scholarships are available for Hindu students to study at Venares Univesity in India. As a traditional society, the Bhutanese follow a highly refined system of etiquette, which is called "driglam namzha." This traditional code of conduct supports respect for authority, devotion to the institution of marriage and family, and dedication to civic duty. It governs many different sorts of behavior, including how to send and receive gifts, how to speak to those in authority, how to serve and eat food at public occasions, and how to dress. 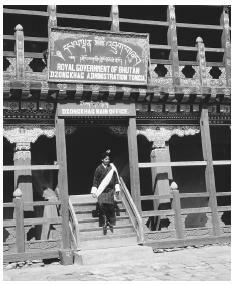 A royal decree issued in 1989 promoted the driglam namzha as a means of preserving a distinct national identity and instituted a national dress code. Men and women mix and converse freely, without the restrictions that separate the sexes among other groups in South Asia. A young monk playing a drum. The national religion is the Vajrayana form of Mahayana Buddhism. Religious Beliefs. Buddhism, which was introduced in the seventh century, is the official religion of Bhutan. Bhutan is the only country in the world that has retained the Vajrayana form of Mahayana Buddhism as its national religion. Throughout all of Bhutan there are Buddhist stupas , believed to be a form of protection for tourists and residents. Hinduism is practiced by the southern Bhutanese. In 1980 King Wangchuck declared Dussera, one of the sacred festivals of Hinduism, a national holiday. Religious Practitioners. There are ten thousand Buddhist monks and they are vitally involved in both the religious and social lives of the Buddhist population. Because of the religious significance of nearly every important event in the life of a Buddhist, the monks visit households and perform rites on such occasions as birth, marriage, sickness, and death. Rituals and Holy Places. A number of annual festivals highlight different events in the life of Buddha. Many of the festivals feature symbolic dances, which are thought to bestow heavenly blessings on the participants or viewers. During religious festivals, tourists are allowed to enter the Dzong (monastery/fortress) and view masked and sword dances; most of the dances date back to before the Middle Ages and are performed only once or twice a year. A fire dance performed at Bumthang is intended to help childless women who are at the festival conceive during the following year. Death and the Afterlife. Both Buddhists and Hindus believe in reincarnation and the law of karma. The law of karma dictates that an individual's decisions and behaviors in one life can influence his or her transmigration into the next life; for example, if someone lived life in harmony with others, that person would transmigrate to a better existence after death. In contrast, someone who had lived selfishly would inherit a life worse than the previous one after death. Bhutan suffers from a shortage of medical personnel with only 65 percent of the population having access to any form of medical care. The sick, indigent, and aged are cared for within the traditional family structure. Leading causes of death include respiratory tract infections, diarrhea and dysentery, various skin and parasitic infections, and malaria. Infant mortality rates are extremely high, running at one-hundred eighteen deaths per one thousand live births in 1995. One of the largest annual festivals takes place on National Day, 17 December, which commemorates the establishment of the monarchy. At this event, the king participates by serving foods and joining the attendees in games and dances. Aris, Michael, and Michael Hutt, eds. Bhutan: Aspects of Culture and Development , 1994. Coelho, Vincent Herbert. Sikkim and Bhutan , 1971. Crossette, Barbara. So Close to Heaven: The Vanishing Buddhist Kingdoms of the Himalayas , 1995. Harris, George Lawrence. Area Handbook for Nepal, Bhutan, and Sikkim , 2nd ed., 1973. Olschak, Blanche C. Bhutan: Land of Hidden Treasures , 1971. ——. 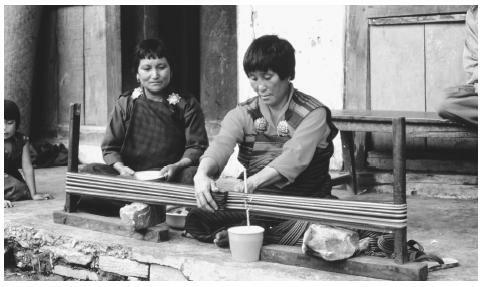 The Dragon Kingdom: Images of Bhutan , 1988. Rose, Leo. The Politics of Bhutan , 1977. U.S. Dept of State, Editorial Division. Background Notes: Bhutan . World Bank. Bhutan: Development Planning in a Unique Environment , 1989. Zeppa, Jamie. 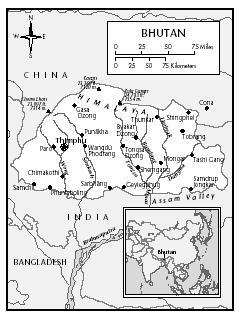 Beyond the Earth and the Sky: A Journey into Bhutan , 1999.
i like your history details. it let me know lot of bhutan .thak you! ME AND MY FRIENDS GO TO THIS WEBSITE ALL THE TIME TO GET INFO ON PROJECTS FOR SCHOOL~! so thank your short but comprehensive information. i am happy coming to know a lot of information. i like your history details. Its really an awesome information,short and sweet. THANKS. THANK YOU this website really helped me find out some information on my school project! Which was The roles of women in third world countries. I choose Bhutan!!! More recent centuries have seen large migrant groups from Tibet, Nepal and Mongolia:i am a bhutanese but i have never known that they were migrant groups from mongolia,where is the source of this information? This was very helpful. My friend is a refugee from Nepal but his parents were originally from Bhutan so I looked this (and the similar article about Nepal) up so that I would be able to better understand him and be less likely to offend him. I can now confidently state that the next time I talk to him I won't feel nearly as awkward nor hesitant about what I say or do. Thank you! NICE INFO...THANKS!THIS GIVES A LOT OF INFORMATION ABOUT THIS LITTLE COUNTRY! OH MY GOD, THANKS SO MUCH FOR THIS WEBSITE, IM GONA GET AN A FOR MY R.S PROJECT!! I love Bhutan. I'm proud to be a Bhutanese. May God bless! Thank you . It is very informative . There has been a need to get as much information as possible on Bhutan and this narrows that gap . I still want to know more about Bhutan specially the latest updates what are the trends now? hmm how are the teens doing? more on their everyday social lives... Just really curious because they were being sandwiched by other countries... I'm so curious... but thanks for the info though! When was World Culture Encyclopedia last updated with new information? Thanks in advance for your response!